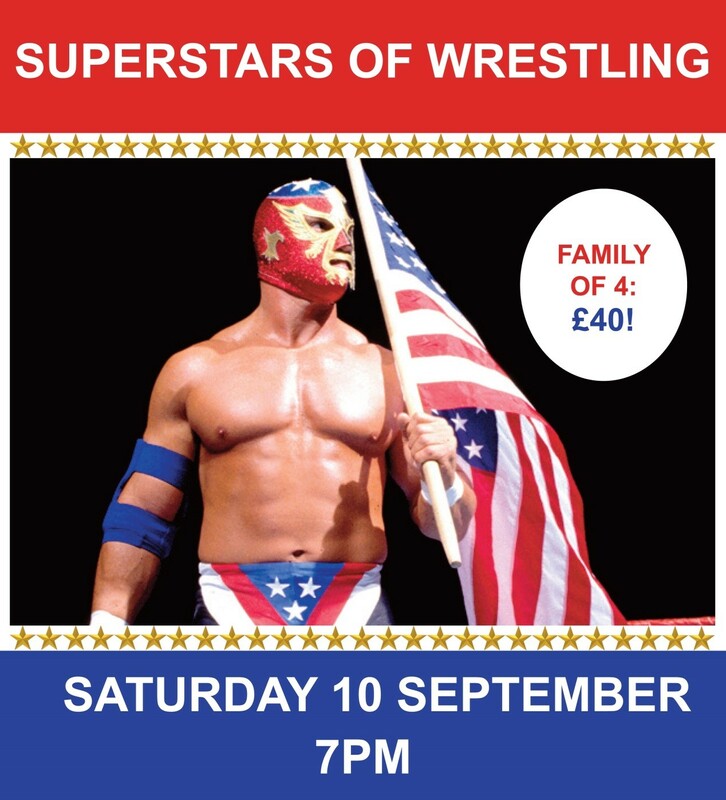 GET ready for a night of headlocks and body slams as the Superstars of Wrestling extravaganza comes to St David’s Hall on Saturday 10th September! Witness the thrills and spills of live American wrestling for one night only crammed with death-defying, awe-inspiring, over-the-top-rope action in this fun-filled show. Plus, it’s a great value night out with tickets for a family of four available at only £40. Swansea sensation Stevie Starr is set to appear on the card alongside John ‘The Machine’ Titan and the masked Mexican high-flyer Magico. The roster includes superstars from across the UK as well Japan, Mexico and the USA – where some have even grappled in the WWE! Under 14s should be accompanied by an adult. Wrestling card subject to change. Tickets are £13 for adults & £11 for children. A Family of four is £40.